And another Metro Cammell DMU! 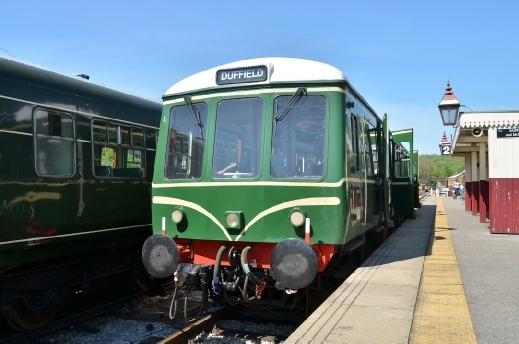 Travel from Duffield was on a three-car unit consisting of two Class 101 Metro Cammel vehicles and a Gloucester Class 119 vehicle at the rear. 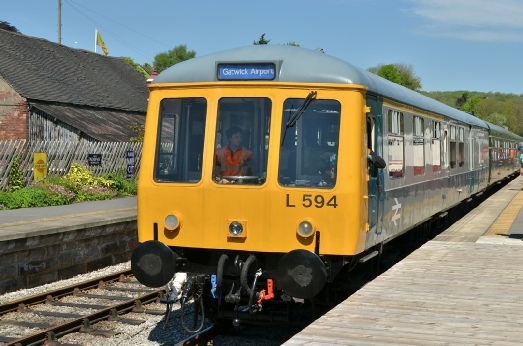 The front of the train consisted of Driving Motor Composite with Lavatory (DMCL) E50170 which entered service in 1957 and was one of the final batch of Class 101s to be withdrawn, being taken out of service at Longsight depot on 31st December 2003. 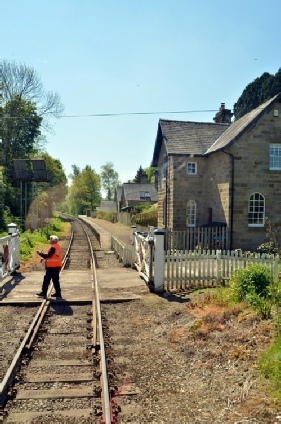 The Institution headboard was placed on the front of E50170 before departure from Duffield. 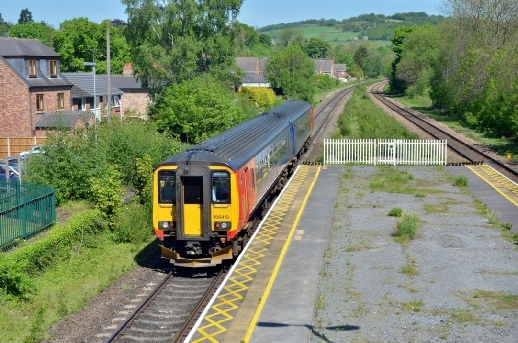 The DMU upon arrival at Wirksworth. The centre vehicle behind E50170 was 1957 Metro Cammel built TSL E59303. This is the one of only three Class 101 centre coaches in existence and the only surviving Metro-Cammell TSL vehicle. 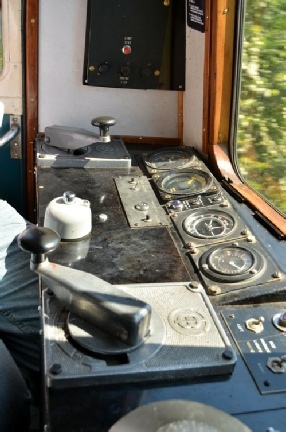 At he rear of the train was superbly restored Gloucester Railway Carriage and Wagon Driver Motor Brake Composite (DMBC) W51073. 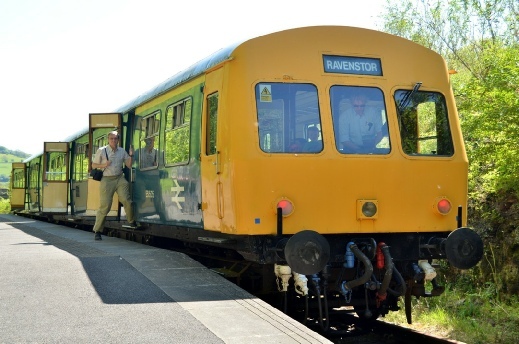 This vehicle ended its working life on the Reading - Gatwick Airport North Downs line, working from Reading Depot and has been restored in BR blue and grey colours. This coach has a rather unusual layout with a large first class area split by an internal partition, a large guards van and luggage area, ideal for passengers luggage on journeys to the airport and a small second class area. There is only one passenger door per coach side. This is the only class 119 vehicle currently in working order. 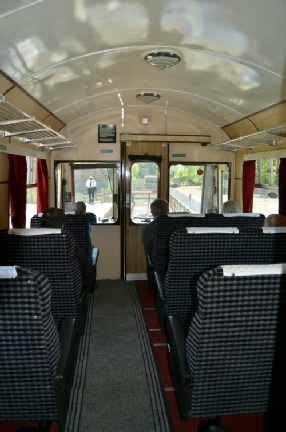 Many members chose to sit in the first class saloon of W50173 - the seats were very comfortable! 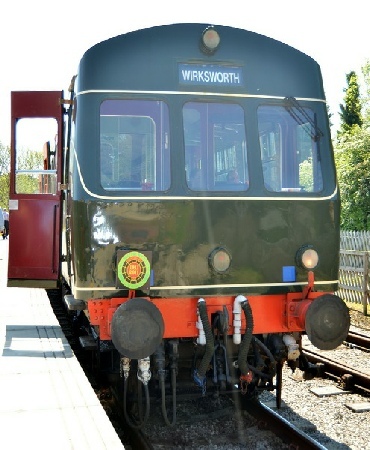 The very extensive restoration by the The Ecclesbourne Valley Railway DMU Group has included the ‘de-refurbishment’ of the vehicle include replacing the fluorescent light with original patten incandescent light fittings and substitution of the BR refurbishment applied off-white and bright-orange panelling with original style wood-effect Formica. 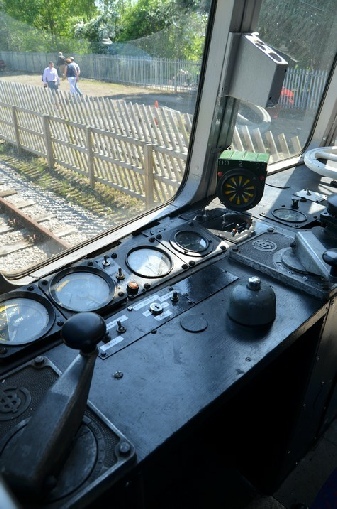 Saloon-end driving cab of E55012. The Class 122 single-car driving motor vehicles are the great survivors with no less than eight of the 19 vehicles built in preservation. 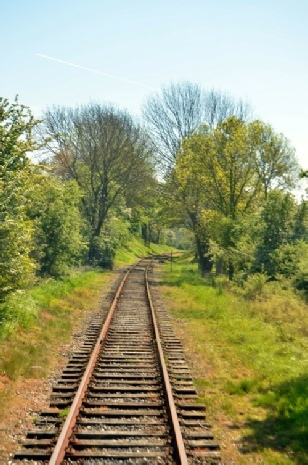 Originally built in 1959 for use on the London Midland Region, Western Region and in Scotland, many were transferred to departmental use as route learning cars relatively early in their career . 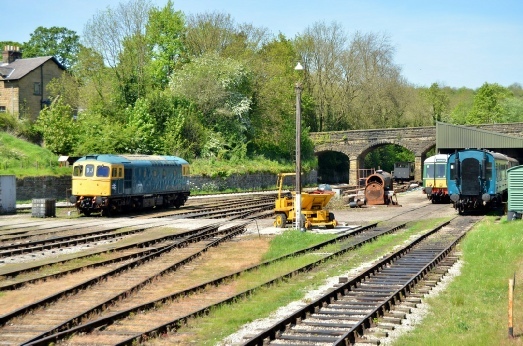 Six vehicles, 55000, 03, 05, 06, 09 & 12, were hastily moved to Plymouth Laira Depot in 1987, along with Class 101 and 108 vehicles, after the Laira Class 142 chocolate and cream ‘Skippers’ 142015-027 were moved away following excessive wheel wear on the these four wheeled vehicles on the sharp curves on some of the Cornish branch lines. Before the Class 122 moved to Laira they had their blue-asbestos insulation removed by Vic Berry in Leicester as well as having their seats retrimmed in an unique red-stripe moquette. BR AWS also was fitted for their extended life in the South West, using parts from withdrawn DMUs. 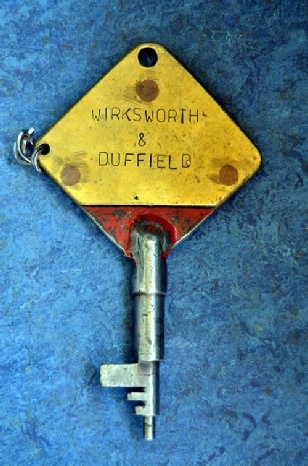 The first vehicles which moved west had their AWS ‘kits’ installed at Laira Depot, though later units had it installed at Doncaster Works instead. However unlike most other DMUs which lasted into the late 1980’s they never had a full refurbishment, so they retained their incandescent light bulbs and wood-effect Formica panelling. 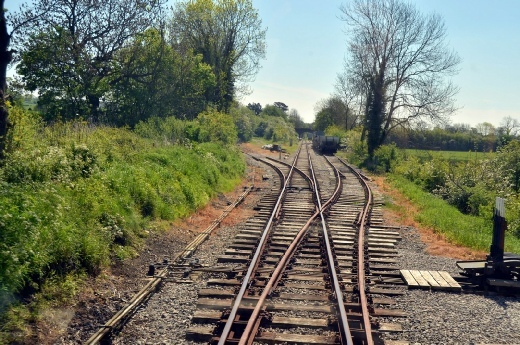 The Class 122s were ideal vehicles to work on the less busy Cornish branches on their own during the winter months as well as being used to supplement two car 101/108 formations when required. 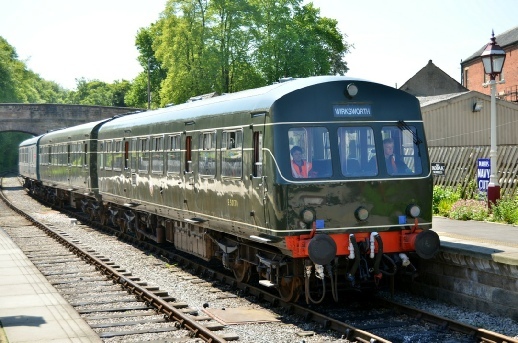 They also saw use on the Cornish mainline from Plymouth to Penzance - the author, living in Cornwall at the time, would always chose to travel in a Class 122 in preference to a Class 101 when formed into the same train due to their superior ride quality and more cosy ambiance due to their lack of fluorescent lights. They were finally withdrawn in 1992 - 1993. 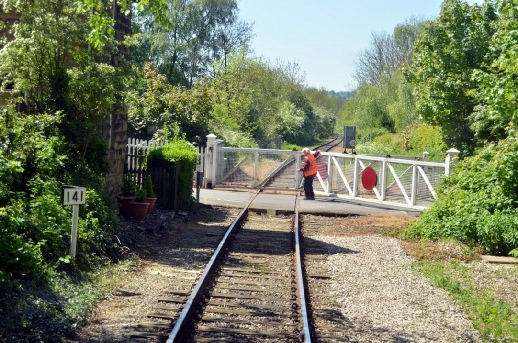 All the Laira six have survived, along with two vehicles which were used in departmental use. 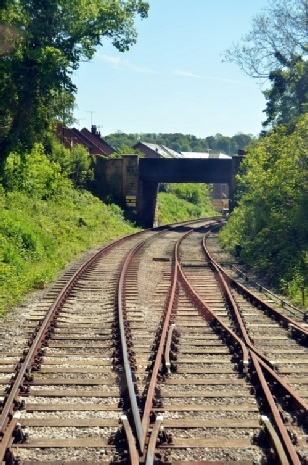 And finally the view towards Duffield upon arrival at Wirksworth. W51073 on arrival at Wirksworth. Note the Gatwick Airport destination blind! 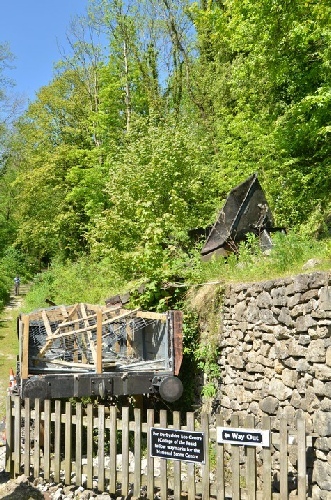 This vehicle ‘won’ Railcar of the Year 2013 by the Railcar Association for defining all odds in returning to service after being in a very poor condition and heavily cannibalised. 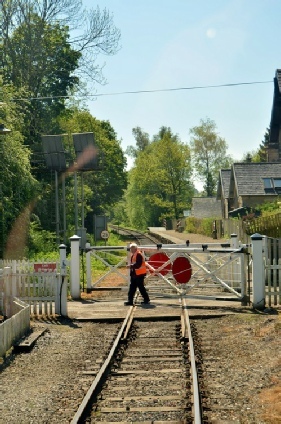 After the AGM there was an opportunity to travel up the hill from Wirksworth to Ravenstor Platform. 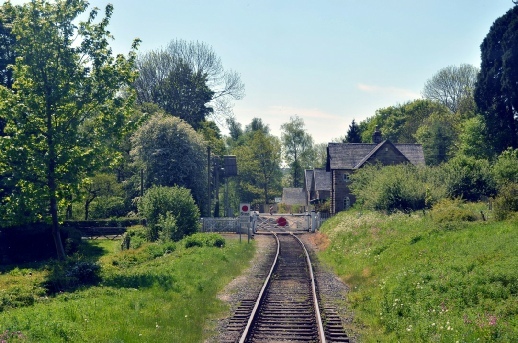 For the steep 1 in 27 climb up to Ravenstor, the train consisted of Class 101 power-twin M51188 and E51505. 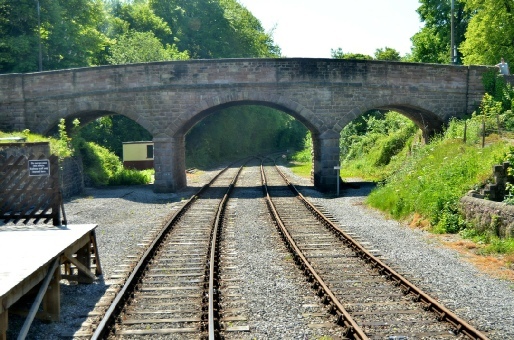 This view shows E51505 upon arrival at Ravenstor. This vehicle was built at Saltley in Birmingham by Metropolitan-Cammell, as one of a batch delivered early in 1959 and was withdrawn in 2000, after last seeing service in the Manchester area. 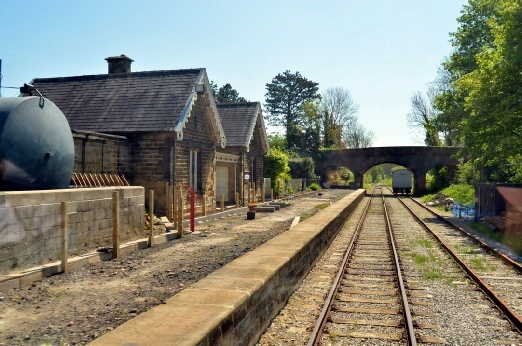 Ravenstor station was built by the Ecclesbourne Valley Railway and opened in September 2005. 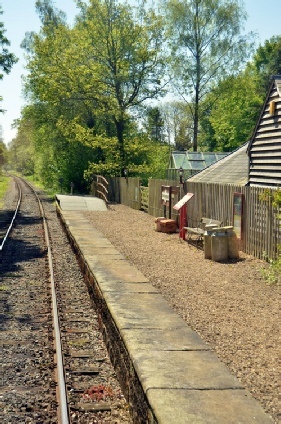 These views show the view adjacent to the platform. 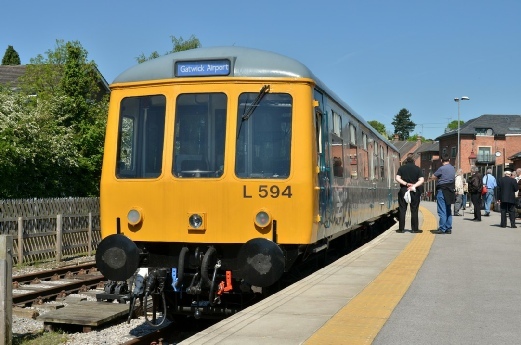 Metro Cammell vehicle E51188 waits to return to Wirksworth. 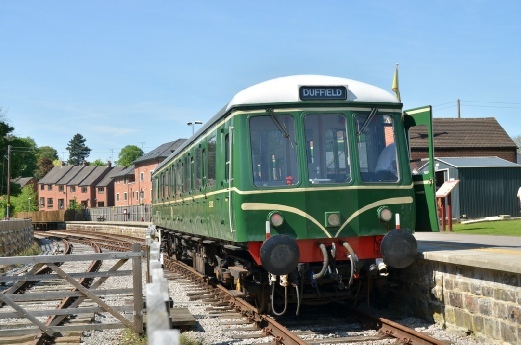 This vehicle was delivered to British Railways in October 1959 and was one of the last of the first generation DMUs withdrawn in 2001 of last being used in the Manchester area. 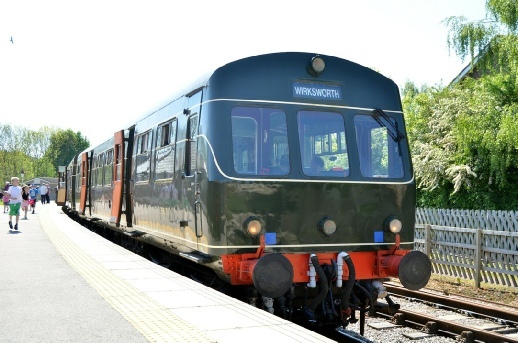 The return journey from Worksworth to Duffield was in Gloucester Railway Carriage & Wagon Class 122 ‘bubble car’ E55012. 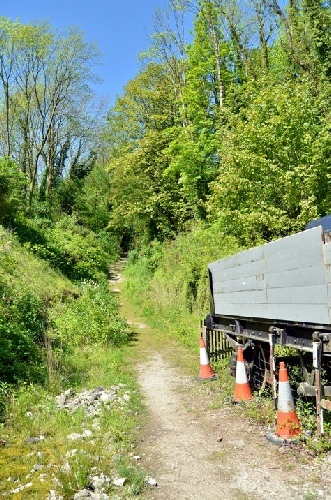 This vehicle moved from the Ecclesbourne Valley Railway to the Weardale Railway shortly after our visit in May 2014. E55012 upon arrival at Duffield. E55012 was used by Loadhaul as a route learning vehicle after withdrawal from passenger service. Numbered as 977941 it was painted in the bold orange/black Load Haul livery. 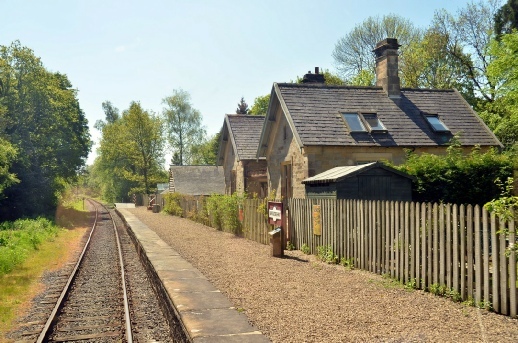 After coming out of use in 1998 it was stored for ten years before being preserved in 2009. 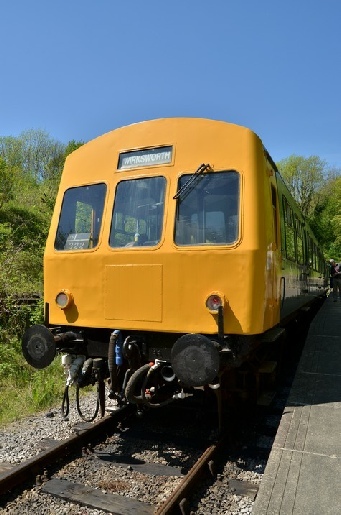 Unfortunately its interior was converted for route learning duties, so it is missing some items such as luggage racks and it is now not entirely in original passenger service condition.